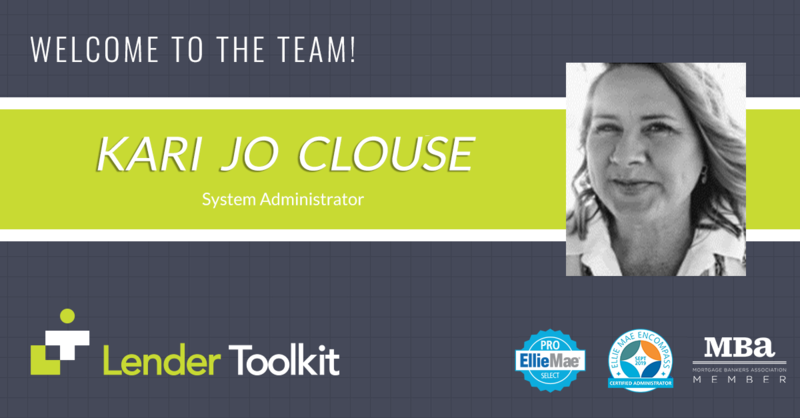 Lender Toolkit Welcomes Kari Jo Clouse! Lender Toolkit is excited to announce that Kari Jo Clouse has joined Lender Toolkit! Kari brings her skills as an implementation consultant and her skills as a Certified Encompass® Administrator. Kari is versed in efficiency review and process improvement and a great facilitator and trainer. With her extensive Mortgage experience and knowledge she will be a vital asset to Lender Toolkit. Lender Toolkit Welcomes Jennifer Parker! Lender Toolkit Welcomes Joe Volk!